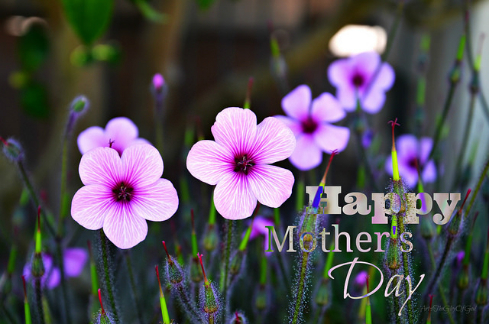 Grosh's Grass Gazette - April Showers Bring May Flowers! Remember if you refer a friend, family member, employer, co-worker, or Facebook friend to Grosh’s Lawn Service, you will receive a $25.00 gift card to Amazon or your favorite restaurant. Share Grosh’s Lawn Service posts on Facebook & Google+ and receive the referral bonus when they sign up for our services. It is that easy to help us GROW what we LOVE to MOW! Let Tom know why you choose to work with Grosh's Lawn Service. Email him today. 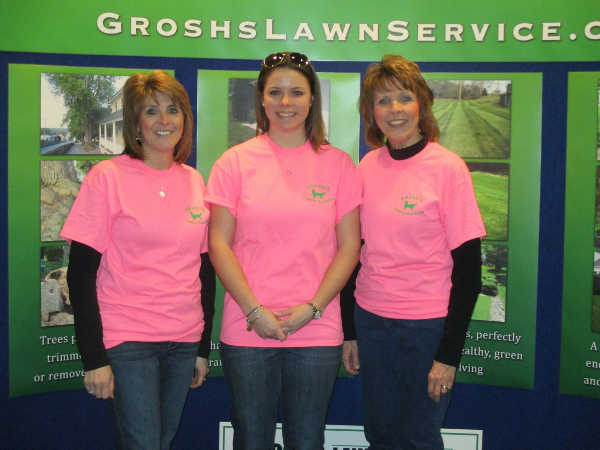 Grosh's Lawn Service Premium Lawn & Landscaping Service is the industry's best value in Hagerstown and Williamsport, Maryland. Spring is right around the corner, let us take care of your lawn and landscape needs so you can spend time with your family and friends! Read about our many services on our website. Annual grasses like crabgrass are extremely aggressive. Without treatment, they'll thin and choke out your good grass as they compete for growing space in your lawn. Contact Tom today to schedule your crabgrass treatment. 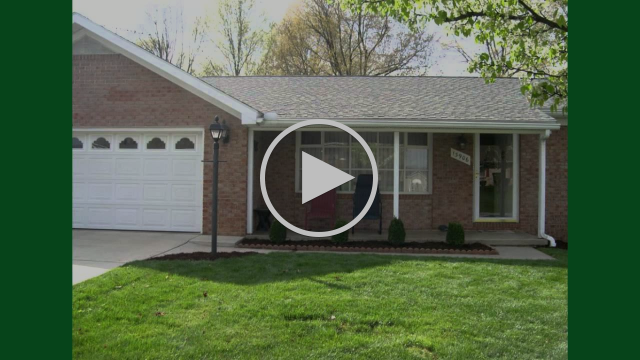 Curious about Grosh's Lawn Service, or want to learn more about the services we offer? Whether you want to know about landscaping, flower gardens, or mulching for your landscaping, you can learn more, and see examples of our work, on the Grosh's Lawn Service blog. Thank you to everyone who stopped by our booth at the Home Show and Flower and Garden Show. We loved seeing you! More than 100 entries were submitted for the first-ever Landscape Industry Hidden Gems list from Green Industry Pros. This list is designed to highlight a variety of landscape and lawn care companies, regardless of sales volume, that have shown a strong growth trajectory, innovative business practices, and a commitment to sustainability and community. Tom Grosh of Grosh's Lawn Service in Clear Spring, MD, doesn't focus on being the biggest company, just the best. To him and his clients, it's often the little things that matter most. "We make sure we return each and every phone call and email each day, including Saturdays and Sundays," Grosh relates. "I want to convey to my customers and potential customers that I will be there for them should the need arise." Warm weather has arrived! Tom and the team at Grosh's Lawn Service are ready to work with you and give you the landscape you desire. Give Tom a call at 301-842-0062 or email him today to get a beautiful landscape that accents your home, raises your property value, and impresses your neighbors. Now is the time to get everything ready for your pool opening. Remember, summer is just a few weeks away! 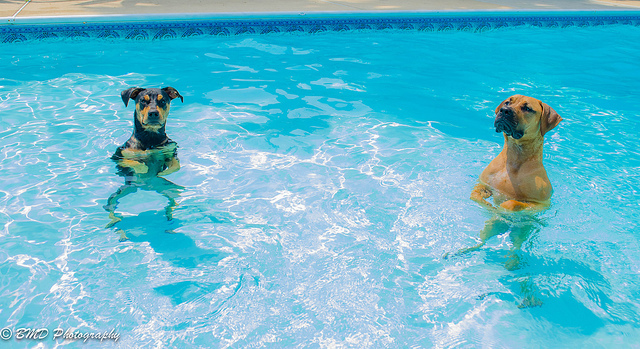 To get your pool landscape ready, (for your two-legged, or four-legged, friends) Tom and his team will remove all dead plants. All grasses around the pool should have been cut off during the Fall, after first frost, this will keep them out of the pool cover and other plants. Having Tom and the team remove this debris will help avoid any liner damage. Tom and the team at Grosh's Lawn Service are ready and available to get your pool ready for summer. One call will do it all. Contact Tom today to schedule your pool cleanup at Tom@GroshsLawnService.com or 301-842-0062. Thank you for taking time to provide your feedback, we greatly appreciate it! We all know how nice fresh mulch looks, but it has many other benefits as well. mulch will help conserve the moisture in the soil during the hot summer days. Tom loves the outdoors and looks forward to working with you and nature to make our planet earth a wonderful place to live. Tom and the team at Grosh's Lawn Service are here to help you. Contact Tom today to get started! Email him at Tom@GroshsLawnService.com or give him a call, 301-842-0062. Copyright © 2015 Grosh's Lawn Service, All rights reserved.